Aquaman Comics Price Guide: What Will a Movie Do to Values? 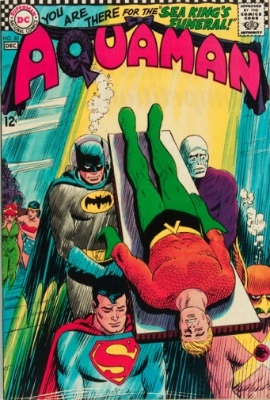 Through the Adventure Comics outlet, the undersea superhero ran well through the 1940s and 1950s continuously. Here we focus on Silver Age and beyond. Check values here | Have yours appraised FREE! 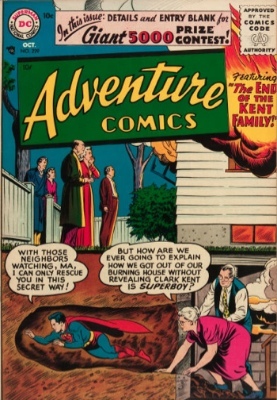 Adventure Comics #229 is the first Silver Age appearance of the character, but it doesn't even get a footnote in the Overstreet Comic Book Price Guide. 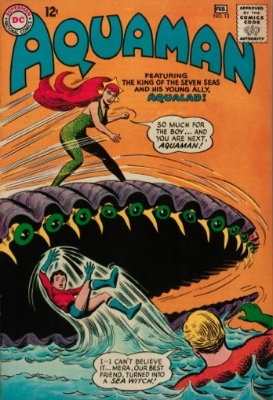 Even though Superman was given the cover with The End of the Kent Family, Aquaman and his new octopus pal Topo stole the show. The eight-armed (tentacled) beast used every extremity to help the sea-dweller fight crime on, and under, the open sea. Not only could Topo bash eight crooks at once, he could move along the top of the water with our hero on his back like a horse on open plains. Topo could also toss Aquaman through the air, so the hero could land on boats to fight evil. Later in that same storyline, our hero rides a swordfish to catch up with some other runaway criminals. While these stories seem like pure fun, they represent the underlying developments that later built the DC multiverse (as well as Earth One). 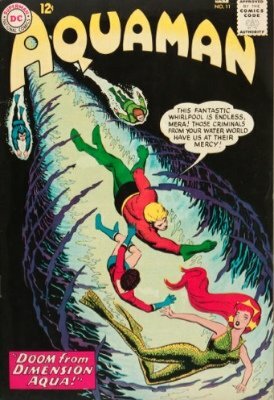 In another issue of the hero's story, Adventure Comics #260, Aquaman's true identity reveals a unique backstory. Again, Superman (along with Superboy) hogs the cover. 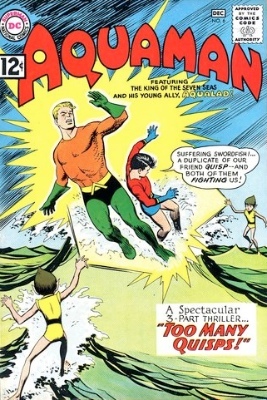 In the section, How Aquaman Got His Powers, we hear as he tells a sea captain about the dangers of atomic warheads, which also reveals his backstory — his lighthouse keeper father saved his mother, an exile from the lost city of Atlantis. 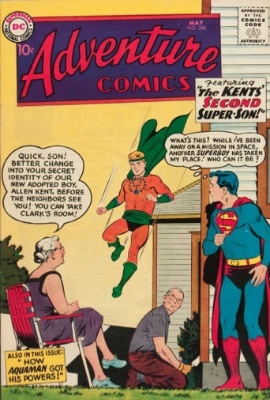 Another revelation from Adventure #260 was that his father's name was Tom Curry and his real name is Arthur Curry. 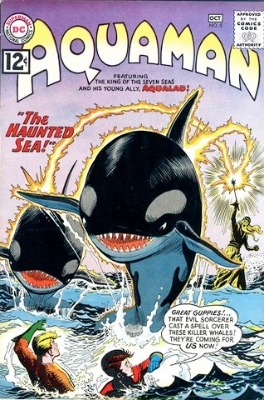 Another key Aquaman comic. 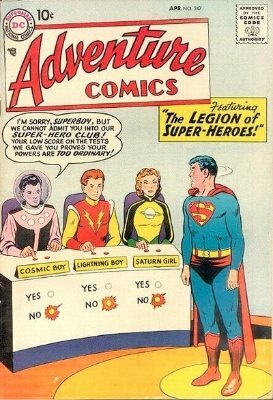 You can read all about Adventure Comics values here. Issue #1 is the first stand-alone comic. 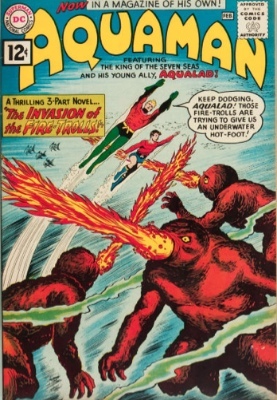 "In a magazine of his own," the undersea hero and his young ally, Aqualad, must fight the evil Fire Trolls in a three-part battle for the good of humanity. While the two are arranging their ocean floor headquarters, Quisp comes to warn them that three Fire Trolls have broken free from an underwater volcano. The duo fight the beasts in the following pages with the aid of some underwater friends. While in early appearances, he was only able to speak with animals, full telepathy sparked in the Silver Age, allowing him to speak to sea creatures with his mind. While most of his updates were improvements in the Silver Age, his largest change of pace was that he could no loner travel between land and sea for long periods of time. Essentially, he had to at least dunk himself in water once an hour to survive on the land. Previously, he could come and go indefinitely. This was the first appearance of the Quisp and the Fire Trolls. Topo the Octopus and Aqualad were also featured. 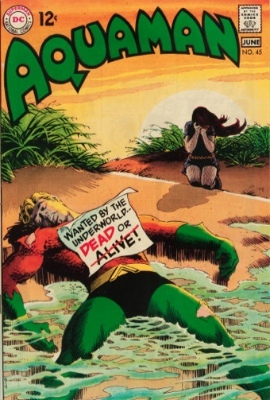 In issue #29, Tom Curry, Aquaman's father, had a second wife in the series after his first passed away. This time, Tom married an ordinary woman and the two had an ordinary son that they named Orm Curry. His half-brother, the boy was troubled during his youth, so he disappeared for years and came back to become Ocean Master. 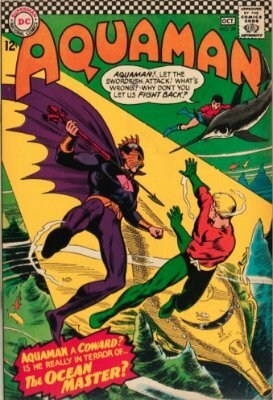 This was the first appearance of Ocean Master. 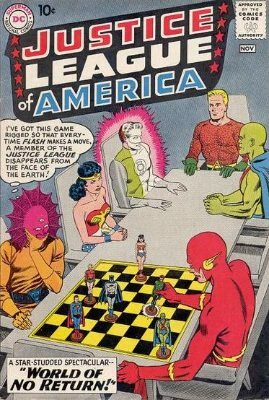 The headline story was Coward-King of the Seas and supporting characters included Aqualad, Imp, and Captain "Forty-Knot" Burke. Learn the value of other DC characters who appear with Aquaman, including Wonder Woman, Superman, Batman and Green Lantern. The super-fast hero returns from the Golden Age! Starting in Showcase #4 and moving on to his own dedicated series, find out what these great old comics are worth. The man with the power ring returns from the Golden Age. 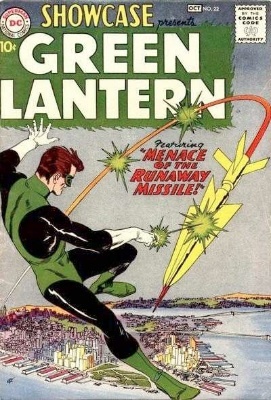 Green Lantern had a second coming in the Silver Age. Find out values here. 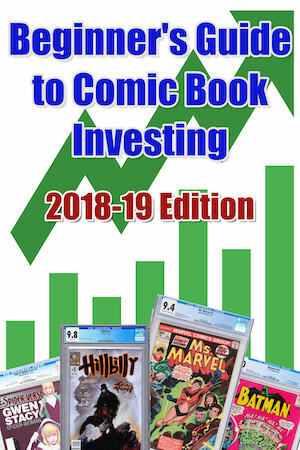 Learn the value of these classic comics, born in the Golden Age. The run contains some of the rarest of all comic books, and plenty of other exciting finds if you're lucky enough to come across some.